You're certainly not the only one who dreads opening utility bills. However, there are many people who do so with little fear of sky-high fees. Want to be one of them? Keep reading! Does your blood pressure rise and fall with the ups-and-downs in your monthly energy costs? Particularly during heating season, utilities account for a sizable portion of the average household budget. Indeed, no matter how much you spend to keep your home up and running, chances are good that you would like to spend less—much less. Of course, bargaining for lower rates with your local utility companies isn’t really a viable proposition, but that doesn’t leave you without any expense-limiting options. On the contrary, there are countless do-it-yourself ways to take a bite out of your bills—defeating door and window drafts, for instance, or outfitting light fixtures with the latest high-efficiency bulbs. However, while such measures may be penny-wise and, especially in combination, effective, it’s best to harbor only modest expectations for the sort of improvements you can accomplish in a weekend, for next to nothing. Significantly reducing energy costs typically requires a commensurately significant investment, whether of time or money or both. Plenty of homeowners go forward anyway, though, recognizing that large-scale, energy-smart upgrades offer exceptional bang for the buck long-term. Intrigued? Learn the details about three of the most successful ways in which homeowners like you achieve radical results. Venture up to your attic and take a look around. One question: Is there insulation? If not, then rest assured it’s not your imagination—your energy expenses really are going through the roof! For lower heating and cooling costs, attic insulation isn’t elective; it’s essential. According to the Department of Energy, proper attic insulation decreases the amount you spend each month to keep your home comfortable, not by a few pennies, but rather 10 to 50 percent. 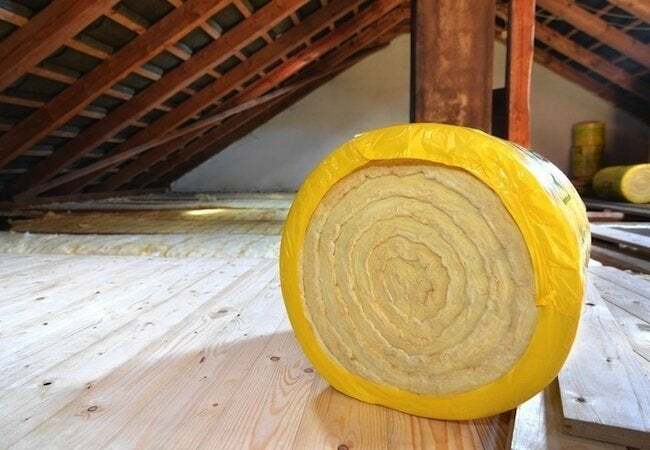 Bear in mind that if your attic already has insulation, you may be able to secure greater savings simply by adding more. How much is enough? A rule of thumb is that if the existing insulation doesn’t reach high enough to conceal the floor joists, then you would likely benefit from an additional layer. That’s straightforward enough, but it’s important to remember that different types of insulation provide different levels of effectiveness. To make an informed choice, you must consider R-value, a scale that measures the ability of a given insulation product to block the passage of heat and cold. The appropriate R-value for your home largely depends on its geographic location, but generally speaking, if you’re adding new insulation over a pre-existing layer, experts recommend insulating up to R38. For a previously uninsulated attic, go with a higher R-value, ideally R60. Whether you handle the job yourself or hire a professional, there’s no doubt that over months and years, attic insulation stands to dramatically improve your bottom line. Traditional tank-style water heaters work at all times to keep a volume of water heated to the target temperature, even in the middle of night when there’s nobody awake to shower or run the dishwasher. That’s a major reason why heating water can account for as much as 30 percent of the average monthly energy expenditure. If you were planning to replace your water heater soon, it may be wise to consider a relatively new and appreciably more efficient technology—the tankless water heater. Also known as an instantaneous water heater, a unit like this operates strictly on demand. That is, instead of storing and constantly re-heating a 40- to 80-gallon tank of water, it fires only when a plumbing fixture or appliance calls for hot water. Compared to older, less energy-smart models, tankless water heaters are 24 to 34 percent more efficient, according to the Department of Energy. In addition, besides being much more compact in design (small enough to mount on the wall, in fact), tankless units tend to last longer too, sometimes twice as long as their predecessors. With a superior lifespan and a lower operating cost, tankless water heaters more than make up for their somewhat higher upfront cost. The downside? 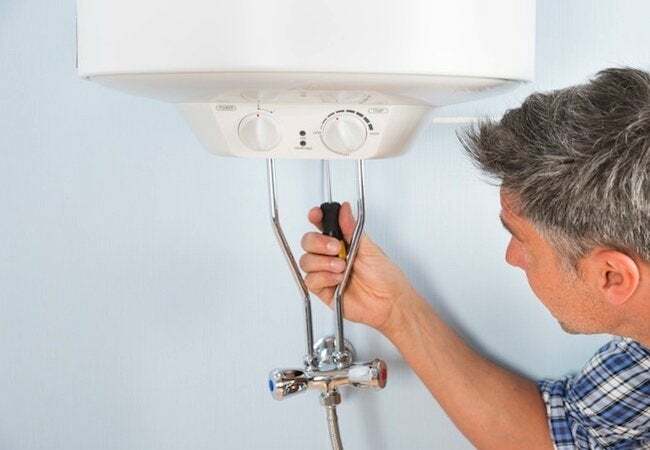 If you live in a busy home where multiple showers and appliances may require hot water at once, then, to meet your gallons-per-minute requirement, you may need more than one unit. Otherwise, a tankless water heater can save you thousands over its lifetime. The Department of Energy reports that of all the energy consumed in the average home, 50 to 75 percent stems from heating and cooling. That being the case, there’s strong incentive to review the systems on which you rely to maintain a comfortable home. That’s never more true than in the winter, when costs often increase. Though there are many types of heating technologies, chances are that yours is a forced-air system. Since first becoming popular in the mid 20th century, forced air has dominated, for better and worse. Due to its ubiquity, it’s very often the case that when homeowners complain about the high cost of home heating, they are often unknowingly condemning, not so much heating in general, but forced-air systems in particular. Indeed, forced air has changed surprisingly little over the years, never overcoming the performance drawbacks that frustrate homeowners for a host of reasons, including financial ones. Why does it cost a small fortune every month to heat a home with forced air? A primary explanation is that forced-air systems are designed around elaborate networks of ductwork that channel heated air from the furnace to the conditioned rooms of the home. On paper, there’s no problem, but in practice, ducts prove imperfect. Particularly on runs through uninsulated space, ducts are notoriously prone to air leaks. Even if those leaks occur only at the seams between sections of ductwork, they are enough to compromise overall system efficiency by up to 25 percent. To make up for the heat loss, the furnace must then work harder, for longer—that is, consume more energy—in order to maintain the temperature that you set on the thermostat. In other words, you’re essentially paying extra on a month-to-month basis for the forced-air system to correct its own serious, fundamental design flaws. Here’s the good news: While forced-air technology has remained stagnant, other systems have made enormous, transformative strides. Take, for instance, radiant heating. Though it’s been around, in one form or another, for thousands of years, it’s only relatively recently that it’s improved to the point of becoming a viable alternative. Already, radiant heating enjoys wide acceptance in Europe and Asia, and increasingly, as more or more American homeowners look beyond forced air, it’s gaining ground here at home. 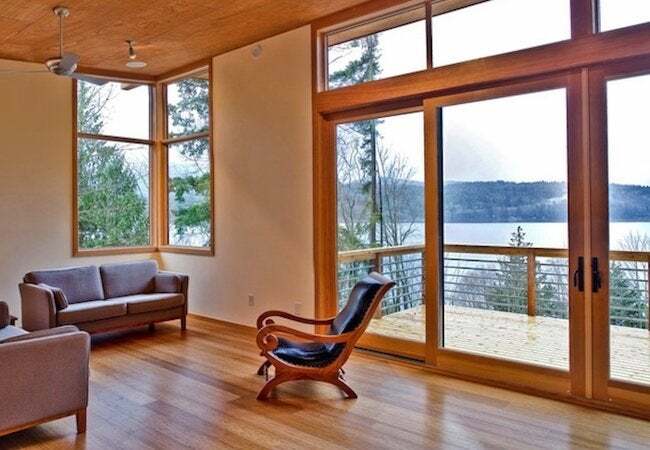 Perhaps most appealing is that radiant heating offers a qualitatively different experience by delivering even, “everywhere” warmth, both silently and without any of the airborne dust and particulates that forced-air systems collect and circulate. 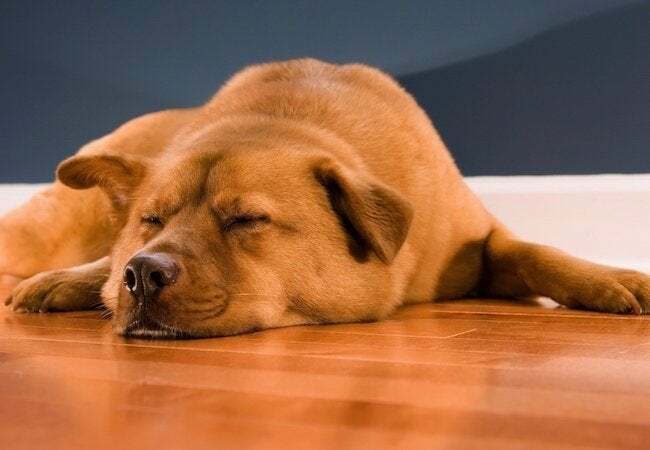 That said, for as much as radiant heating makes home heating vastly more comfortable, it also manages to attract converts for yet another compelling reason—efficiency. Involving no ductwork whatsoever, radiant heating maximizes energy savings by minimizing heat loss. In fact, according to a study conducted by Kansas State University and the American Society of Heating, Refrigerating and Air-Conditioning Engineers, radiant systems operate at least 25 percent more efficiently than forced air. Not all radiant technologies are the same, though. To be sure, on the level of system design, radiant always comes with advantages. But individual system components can make a big difference for your monthly bills. So when assessing your options, look closely at the material composition of the radiant heating panels that form the backbone of any such system. Some panels are made of gypsum concrete, which works reasonably well but usually responds too sluggishly to be effective in a home. That’s why Warmboard constructs its panels with aluminum, 232 times more conductive than concrete. Aluminum actually transfers heat so well that in a Warmboard system, the boiler can heat the water to a temperature 30 degrees lower than what other radiant systems would require. In this way, you can save an extra 10 to 20 percent every month, and thats ‘s top of what you’d already save by opting for radiant! So while forced air may have been the default choice for decades, homeowners looking to slash their ongoing costs have every reason to contemplate a switch.